Thanks to heroic, hat-shaped Cappy, Mario’s got new moves that’ll make you rethink his traditional run-and-jump gameplay—like cap jump, cap throw, and capture. Use captured cohorts such as enemies, objects, and animals to progress through the game and uncover loads of hidden collectibles. And if you feel like playing with a friend, just pass them a Joy-Con controller! 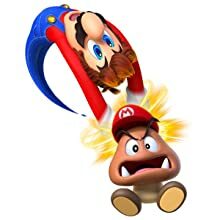 Player 1 controls Mario while Player 2 controls Cappy. 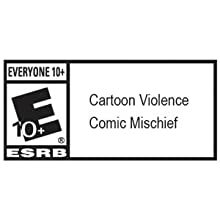 This sandbox-style 3D Mario adventure—the first since 1996’s beloved Super Mario 64 and 2002’s Nintendo GameCube classic Super Mario Sunshine—is packed with secrets and surprises, plus exciting new kingdoms to explore. 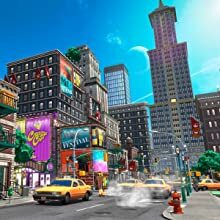 Explore astonishing new locales like skyscraper-packed New Donk City to your heart’s content, and run into familiar friends and foes as you try to save Princess Peach from Bowser’s dastardly wedding plans. Be sure to bring any coins you find to a Crazy Cap store, where you can exchange them for decorative souvenirs for the Odyssey and new outfits for Mario! Some destinations have very exclusive dress codes, after all. 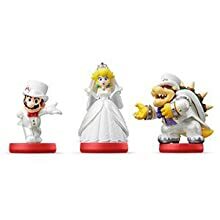 Three new amiibo figures—Mario, Princess Peach and Bowser in their wedding outfits—will be released at launch. 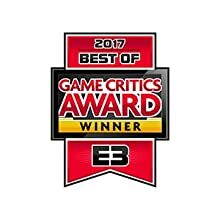 Game Critics Awards Best of E3 2017. 2017 Nintendo. 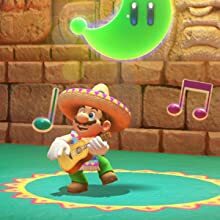 Super Mario Odyssey and Nintendo Switch are trademarks of Nintendo.